Firm? Soft?…Can’t Agree? 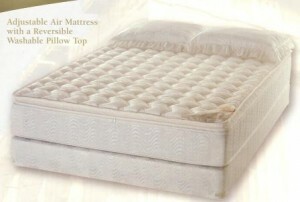 Then the luxury adjustable air mattress is the perfect mattress for you. This bed can be set from soft to super firm and dual air chambers make it possible for you and your partner to customize your side to your bodies’ personal requirements. No more compromising! Get the nights sleep you both deserve.